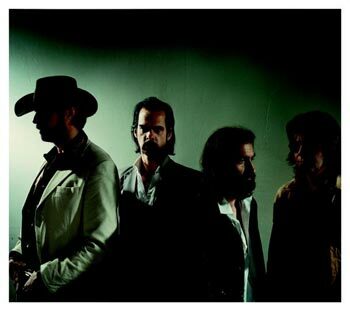 Grinderman’s self-titled debut shines new sleazy red light on Nick Cave and the Bad Seeds. Recorded over a span of five days in early 2006, the record has all the charming disposition of an unleashed Ebola monkey. Warren Ellis, Martyn Casey, Jim Sclavunos, and Nick Cave know damn well better than this. All the pawing and snorting, 11 tracks worth, leads in one direction: record of the year. 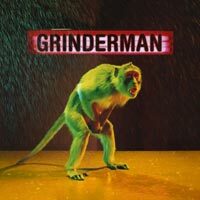 “Electric Alice” and “Grinderman” slow things down, but both sound like pure evil. Therein lies Cave’s genius - he makes the romantic horrifying, and vice versa. “Depth Charge Ethel” wakes the beast with the tale of an old prostitute from Cave’s youth. “(Honey Bee) Let’s Fly to Mars” and “Love Bomb” are glorious messes. Overloaded, brash, and blistering, they approach 1960s psychedelica, but keep it raunchy. It’s more Doors than Jefferson Airplane. This new incarnation hasn’t strayed too far, however. The Bad Seeds are still here. “(I Don’t Need You To) Set Me Free” rides along a rolling bass and piano, and Ellis’s violin solo is classic, lifting the song to the epic heights of “Oh My Lord” or “God is in the House”. But Cave is riding a little higher in the saddle this time. He’s beating an issue of Hustler instead of the New Testament and he’s no longer hiding in metaphors. 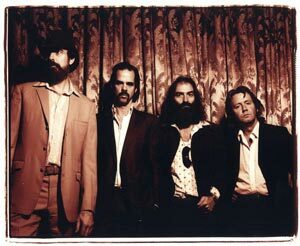 Grinderman derived their name from the sound of the music they made. With all the odes to murder and fornication on this record, they went a little soft on that one. Fortunately, their name is the only thing that can be described as such. It’s a shocking and truly brilliant record.